The Nigerian Air Force has announced the crash of one of its helicopters while on a mission in the ongoing counter insurgency operations in the Northeast. The Director of Public Relations and Information of the NAF, Air Vice Marshal Olatokunbo Adesanya however said no live was lost in the mishap. 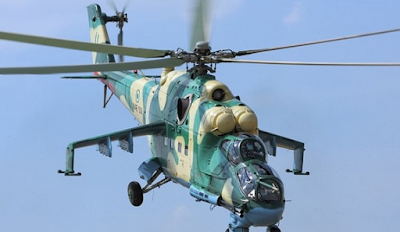 AVM Adesanya said in a statement: “​A Nigerian Air Force (NAF) Mi-17 Helicopter has suffered a mishap while undertaking a mission in the ongoing counterinsurgency operation in the North East.